Thins seem to be all the rage, or perhaps it is to coax us into a less guilty state of biscuit eating when we are trying to eat healthy. Nonetheless after my love of the Oreo Thins I was pretty intrigued to see how Mcvitie’s Digestives Thins would pan out. Aside from today’s offerings of Milk Chocolate and Dark Chocolate Thins, Mcvitie’s Digestives Thins also comes in Cappuccino. Although not one for me I do like they have gone for traditional flavours as well as a flavour they don’t normally do. 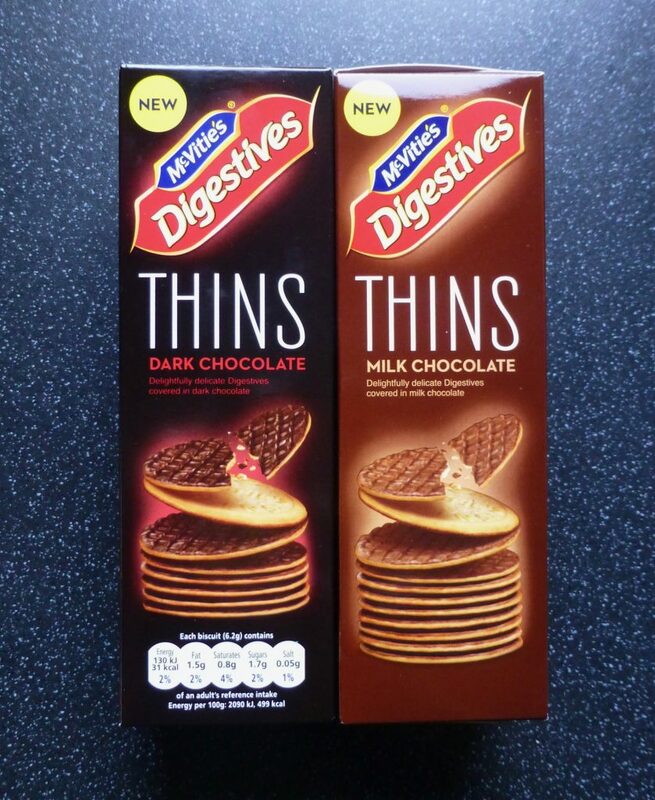 I found these Milk Chocolate Thins in Tesco Express and the Dark Chocolate Thins in Tesco Superstore and both were £1.59 each. The Cappuccino ones are currently listed on Sainsbury’s website but not yet available to buy online. Baked with a lighter touch for a delightfully delicate crunch and smothered in smooth chocolate. Unlike the Oreo Thins these were not segregated and instead were in one long, pretty sturdy cardboard container to keep them in one piece. 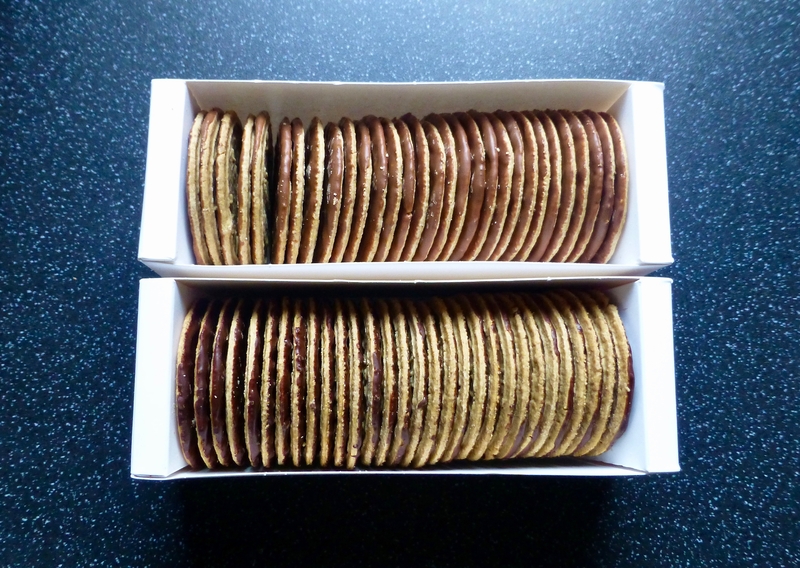 Each box contained 30 Digestive Thins and reminded me of a bit like crackers. Milk Chocolate: Each Biscuit – 31 kcal, 0.8g sat fat, 1.9g sugars, 0.4g protein. Dark Chocolate: Per Biscuit – 31 kcal, 0.8g sat fat, 1.7g sugars, 0.4g protein. Despite the thin smattering of chocolate they smelt deliciously chocolatey. Both of these tasted exactly the same as their original counterparts. The chocolate on both was smooth, creamy and perfect to scratch that chocolate itch. The sweetness from the biscuit helped cut through the bitterness from the dark chocolate. It’s tricky business experimenting with the classic Digestive and although these Thins are bang on taste wise they are just missing the texture you get from a standard one. 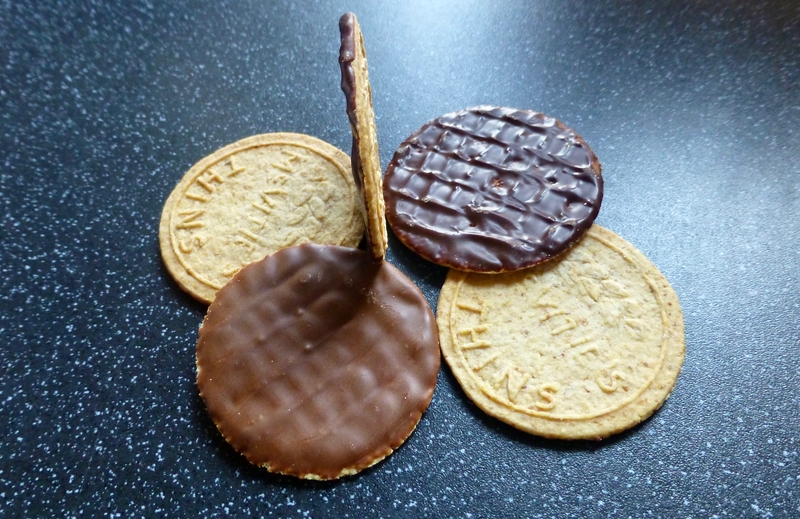 Mcvitie’s Digestives Thins are indeed thin but oh so delicious. If Mcvitie’s goal was to mimic the taste of a standard Milk and Dark Chocolate Digestive then they have been triumphant. Where these are slightly let down is the texture of a digestive can only be achieved by a thicker base. 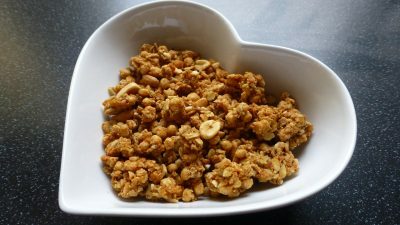 Nonetheless get these on the shopping list because you are going to love them and they make the perfect elevenses. Could we be seeing Hobnobs Thins in the near future? We shall have to wait and see. I love these! As a type 1 diabetic I can have one of these biscuits for ‘elevenses’ at work, when we always raid our goodie drawer of the filing cabinet(!! ), and it doesn’t really affect my blood sugar as only 3.8g of carbs. Brilliant! Sadly not for me, trying them now for the first time and i think the chocolate in too thin and the biscuit is like cardboard. And as you may expect they do not dunk well, which is a requisite for a good biscuit. i won’t be purchasing again… but would be happy for the kids to eat the rest of the box given that they are less ‘bad’ than the original!